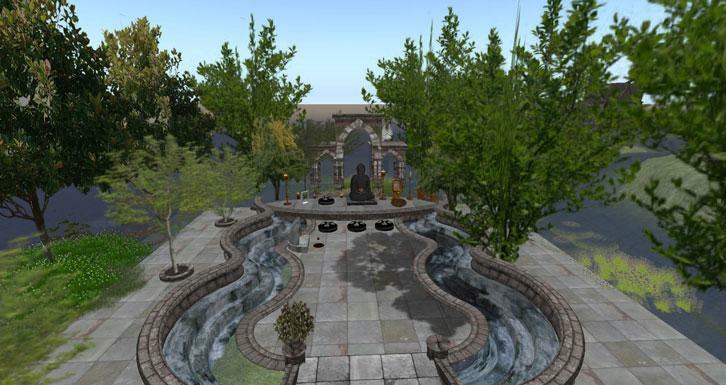 Virtual Spiritual Centers in Second Life Article - Virtual Worlds Land! 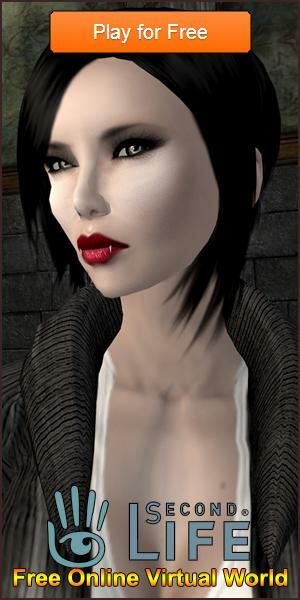 Rate this Article Although Second Life may be a modern sort of game, the game itself houses a ton of virtual spiritual centers for the religious to visit. Faith is a major part of an individual’s life. It does not matter if he believes in God or not, the necessity of belief and faith remains intact. Every person in this planet has to rely on a support system. For some it’s a crucifix and for some it’s they themselves. Belief comes with faith and for belief to develop one needs to delve deeper into himself or herself. 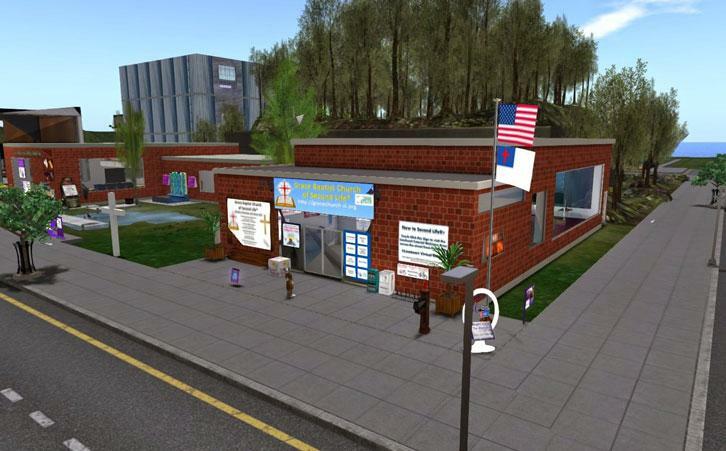 Second Life offers a score of places where you can meet people of common belief and spend some quality time in a spiritual location of your choosing. 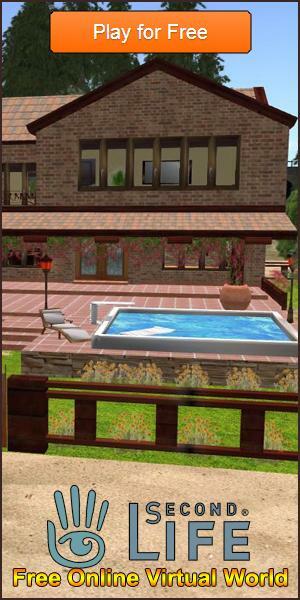 Second Life, developed by Linden Lab based out of San Francisco allows you to unwind in its own digital universe. With the changing trend and pattern of the world, life has become terribly transient and rushed. People hardly get the time to dedicate time towards themselves. Second Life gives you another shot at life itself. No matter who you are, what you are, in Second Life, you can be anybody. It is almost an exact virtual replica of the world we reside in, only a lot more engaging. You can travel to places where you cannot go in real life; you can be anybody you want without judgmental glares and smirks. When it comes to faith and spirituality, Second Life has a ton of places you can go to attain nirvana. Here is a concise list of some spiritual centers in Second Life. This Spiritual Centre located in Stockbridge, MA is the ministry of the Marian Fathers of the Immaculate Conception of the Blessed Virgin Mary. Here Second Life residents are not just allowed to visit and view the shrine, but also listen to the seasonal choir music of St. Helena's Family Choir and listen to daily readings from Saint Faustina's diary. The architectural reproduction of this divine place is immaculate and almost a replica of the real one. Do give this place a visit. Love, Acceptance and Forgiveness are the three commandments of life and the Grace Baptist Church is a place where you can go to rethink about these commandments. Anyone is allowed inside provided they keep the place clean and tidy. It is not out of bounds for any avatar, no matter what belief system he or she relies on. You can visit them at 5am and 5pm every Sunday for masses and events. Nirvana is defined as ‘a transcendent state in which there is neither suffering, desire, nor sense of self, and the subject is released from the effects of karma and the cycle of death and rebirth.’ (1). Nirvana Island is the place you must visit in Second Life to attain this transcendence and follow the path of self-discovery. No matter what your faith is or what religion you belong to, you are welcomed here with open arms. There is a form of harmonious spiritual connection among every individual in Nirvana Island. You can attend daily events, listen to live music, dance, sing and explore. Be the free soul you’ve always wanted to be at Nirvana Island. It is said that the strongest weapon a man can wield is Hope. If you are a survivor, you will understand true hardship and returning to normal is often the toughest journey for you. At SL Project Hope, survivors are supported individually and collectively. It will guide you along your healing process with the generation of hope, acceptance, peace, opportunity and empowerment. Join SL Project Hope in Second Life and you won’t have to tread the path of darkness all alone. This spiritual center is an ecumenical community compromising of monks and nuns who share prayers together with everyone attending mass. No matter what your issues are in life, no matter what the hardship is, Serene Heart will definitely let you do some soul searching. Attend their prayer service which is held daily at 11 am. You can contact the Abbot, Father Emmanuel Francisco Xavier SJ for any further requests or opinions. This is a spiritual center for soul-healing and transcendence. It is a beautiful spiritual mountain retreat where you can go to meditate and calm your mind and do some necessary soul searching. Individuals from all beliefs and paths are welcome here, provided they share mutual respect for each other’s orientation. Enjoy the temples carved through raw nature and learn self-healing techniques from Dr. and Master Zhi Gang Sha. If there is a Utopia in Second Life, it is the Library of World Religions. You can go to this center to meditate, exchange personal views and ideas or just spend some time on reflection and soul searching. You can explore the beautiful and interesting artworks or just relax in the serene ambiance. These are some of the most renowned spiritual centers in Second Life. Whether you’re a survivor, or going through a tough time in life, log into Second Life and spend some quality time with people sharing your experience and your views until you’re ready to face the real world again.